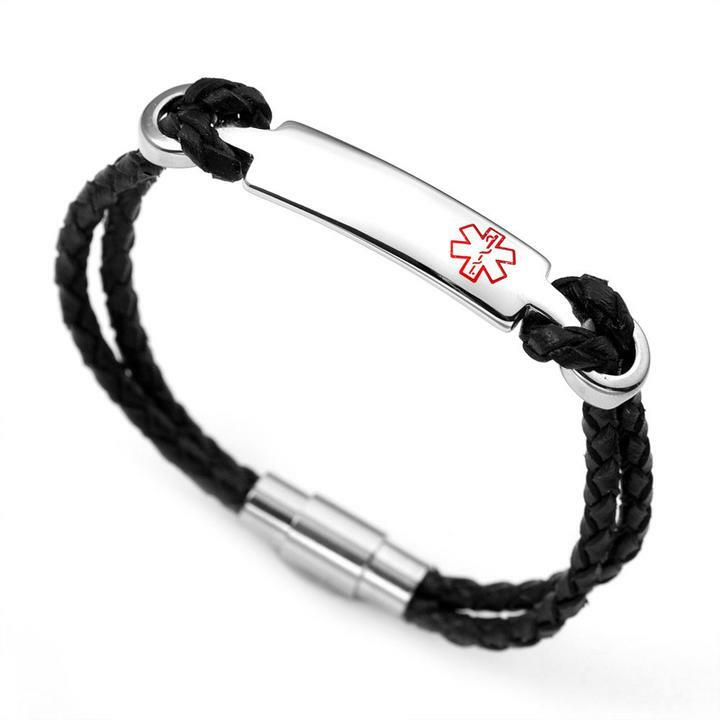 Black leather and Stainless Steel Medical Alert id Bracelet available in sizes 7 1/2 to 8 1/2 inches. This classy medical alert leather and stainless steel bracelet can be engraved on front and back with emergency information. The medical symbol is very subtle, pre-engraved and filled with red. Bracelets are available in 7 1/2, 8, & 8 1/2 Inch sizes. Wrist size should be approximately 1 - 1 1/2 inch smaller than stated length of bracelet.